One of Data East’s all-time classics. 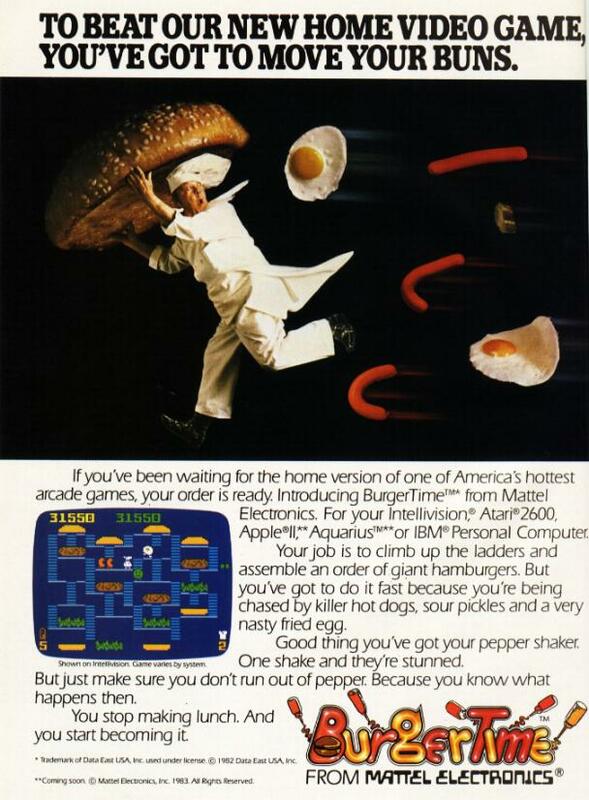 BurgerTime puts players in the shoes of Peter Pepper, who must build hamburgers by running over the top of their individual components while being chased by various condiments and ingredients. It’s kind of amusing in a surrealist way. This particular ad is for the US release of the Intellivison version.